Gaming on a budget is a dream for many. There are a lot of users that don’t like spending too much cash on a gaming notebook or simply can’t afford it. This is where the budget GPUs step in. They offer significantly better performance than an integrated GPU but a budget card is a budget card – it can’t compete even with the GTX 1050 (with some exceptions like the Radeon RX Vega M GPUs found in the Kaby Lake G processors). While you can play some triple-A titles on these budget card, you’ll still need to stick to the lowest graphics. They are just not meant for intensive games. However, manufacturers and resellers like to give you a false perception that these cards are “super powerful” or “unleash your gaming potential” with marketing tricks like the quoted heavily-exaggerated expressions. Tech specialist like us can’t get fooled by such shenanigans but we know that a lot of our readers aren’t so well prepared and are easy to deceive. That’s why today we want to shed light on one of these marketing tricks that we spot. We assume that you have probably heard of the GeForce MX150 GPU – if you haven’t you can read about it here. The MX150 can be referred to as the missing link between the integrated and discrete GPUs. It’s much faster than the UHD Graphics 620 but slower than the GTX 1050. However, there seem to be two variants with a different performance that are both labeled as simply MX150. The normal and powerful version of the MX150 has a 25W TDP with a base clock of 1468 MHz and a boost of 1532 MHz. There is also a slower 10-watt version with much lower frequencies – 936 – 1037 MHz – that can’t really be distinguished unless you run something like GPU-Z. The 10W version is just not worth it. Some tech specs include a 64-bit bus, 384 shaders, and GDDR5 memory. When you run GPU-Z or a similar app, you should look for the GPU ID: N17S-G1-A1 for the 25W version and N17S-LG-A1 for the 10W edition. 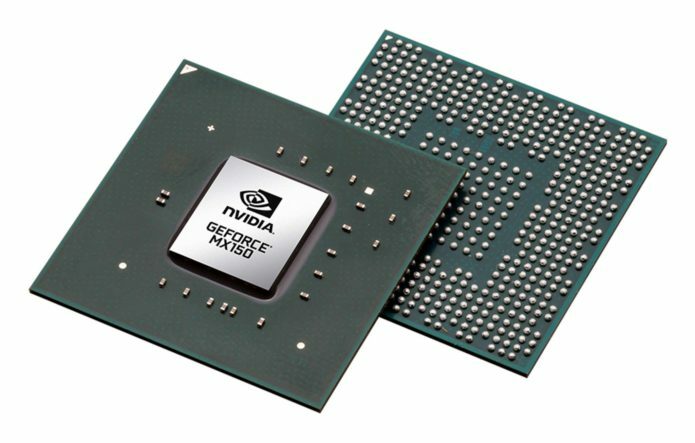 Later in 2017, following the MX150 release, NVIDIA announced two other cards – the MX110 and MX130. Judging by the nomenclature, the latter two should be slower than the MX150 but still capable of gaming. However, don’t get all hyped up – unlike the MX150 which is based on the Pascal 14nm architecture, the MX110 and MX130 are built on the older Maxwell 28nm manufacturing process. With the GeForce 20 series around the corner, it’s not very convenient to buy a GPU from two generations back. The MX110 and MX130 are actually old renamed GPUs. The MX110 is a rebranded 920MX with a clock speed of 965 – 993 MHz. The MX130 is just a rebranded 940MX with a base clock of 1122 MHz that goes up to 1242 MHz. Here are some more detailed specs. Both cards can be found with either DDR3 or GDDR5 memory. We strongly recommend the latter. The MX110 has a very low TDP of 5-12W, 64-bit bus, and 256 shaders units. The MX130 has a higher TDP of 15-30W, 64-bit bus, and 384 shaders units. To sum things up, keep your eyes peeled when shopping for a new notebook. Don’t get fooled by the MX110 and MX130 – you are actually buying a two and a half years old outdated GPU. As for the MX150, although the best choice for budget gamers, carefully read reviews to find out if the notebook you’re buying packs the 25W version.